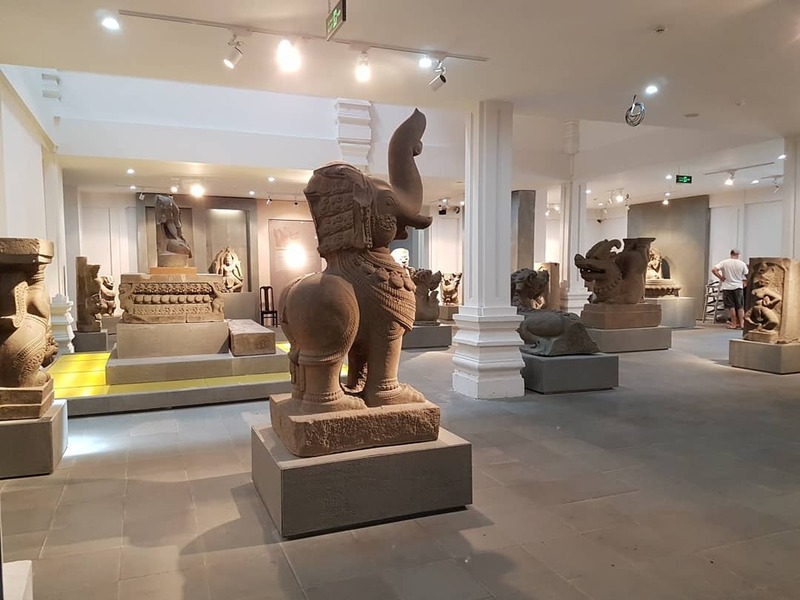 Considered as one of the best examples of Hindu architecture in Southeast Asia, My Son sanctuary is definitely a great destination for history buffs. No pictures or videos can give you an accurate impression as an actual visit to the site. Upon arriving at the site, you’ll be awed by the spectacular architecture of ancient ruins and the glorious history of the Champa Empire. In this article, we will give you a bunch of tips to visit My Son Sanctuary in Vietnam and how to get the most of it. Is My Son Sanctuary worth visiting? Being the biggest Champa architecture complex in Vietnam, My Son sanctuary is surrounded by mountain ranges and lush green forest on a par with a fortress amidst the jungle. The place was for Kings and High Priests to enter and communicate with the gods. Being in the most beautiful and famous temples complexes in South East Asia, it may not leave you in awe like Thailand’s Ayutthaya or Angkor Wat in Cambodia. But My Son Sanctuary has its own mysterious vibe when you walk through which could be why the site was recognized as a World Heritage. 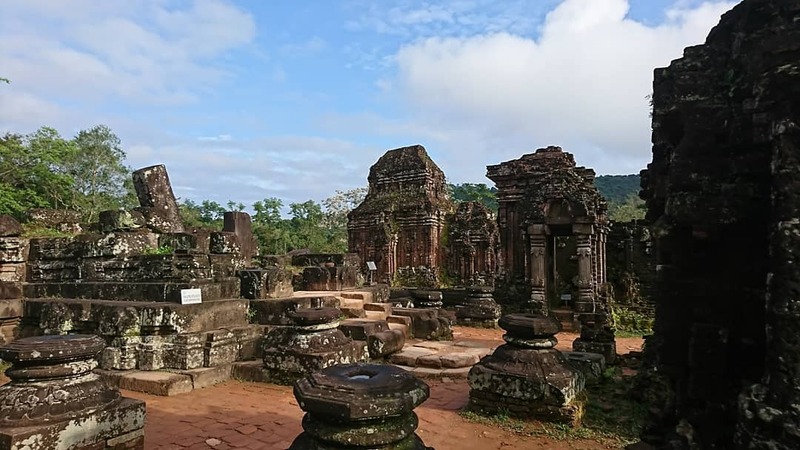 This complex was constructed by the Champa Empire which controlled the central and the South of Vietnam in the 3rd century. 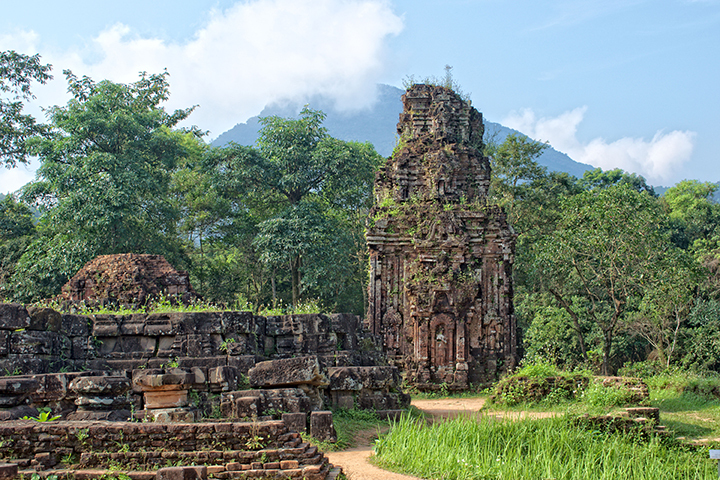 However, due to the invasion of the ancient Kingdom – Dai Viet, these temples were abandoned beside the Thu Bon river. Until 1889, the gem My Son complex was woken up thanks to a group of French explorers. Later on, in 1903, Henri Parmentier – a French archeologist and his team started to excavate the site and documented 71 structures within two kilometers, even, managed to restore some of them. Unfortunately, in 1969, there was a bombarded when American forces attack a Viet Cong base in the ancient ruins. Besides the historical significance, the architecture style and religious features amaze and attracts a large number of visitors to My Son sanctuary. It’s a combination of Hinduism style and the Champa’s style which create a notable and unique complex. Also, each temple was built in a different time period which is meant to reflect the architectural evolution of the Champa culture. It’s the fastest and easiest way to reach My Son sanctuary. But in exchange for the speed, the cost is quite high around 700.000 – 800.000 VND (~US$ 30-35) per person. Keep in mind that it is for a one-way trip which means it will cost you double. Beside taxi there another choice for you, which is Grab, It’s basically Uber, but for motorbikes. The fare is quite cheap too. 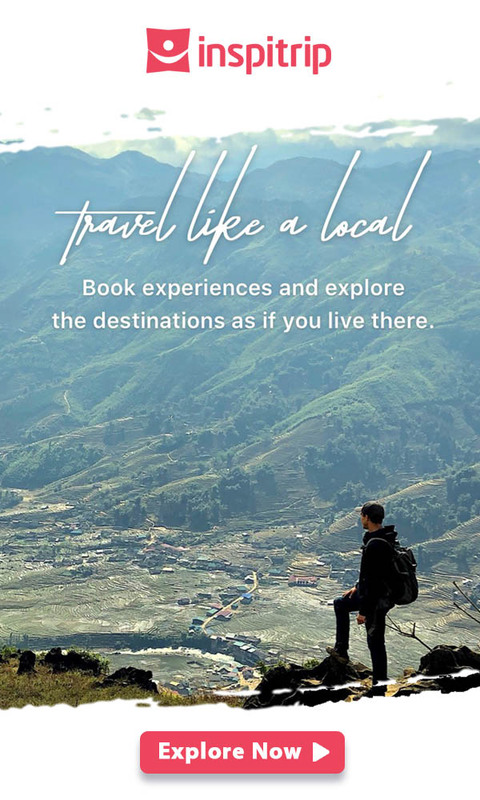 If you’re a budget traveler, Grab would be a great alternative. There are also numerous other motorbike taxi services in Vietnam. Try and find the one that suits you best. From Danang, you can catch the number 6 bus. it’s available daily from 5.30 AM to 5 PM and scheduled for 30 minutes/trip. The ticket is quite cheap, around 8,000 to 30,000 per passenger (~US$ 0.5-1.5). It is obvious that buses could be suitable for backpackers and budget travelers, but not for impatient people. Despite the low-priced ticket, it will take your time to wait and walk to the bus station. Also, for those who prefer freedom, it would not be a good option. However, if you wanna experience catching a bus to enjoy the breathtaking view, prepare a google map and translation tool. If you are an adventurous person, rent a bike and explore 42-km way from Danang to My Son. You can easily find bike rental shops with the affordable price (around 150,000 VND – US$6.5 a day). Make sure that your phone can connect to the internet and you will never get lost. Depending on your riding skill and the other condition, you can reach My Son sanctuary in about 1-1.5 hours. The easiest and most convenient way is to book a tour that not only helps you cover all the logistics but also give you hassle-free and insightful experiences. A great day tour can take you to My Son Sanctuary with relative ease. It’s best that you find a tour that includes pick-up services in Hoi An for Danang. With Inspitrip, a private tour to My Son sanctuary is available for those who are looking for the ideal trip without dependency on other travelers! Besides these standard services, drinking water and entrance ticket are also included. To contemplate one of the must-see places in Danang, you need to pay around 150,000 VND (~US$ 6.5) (at the time of writing) for the entrance fee. To be honest, it’s not too pricey for an opportunity to explore a World Heritage. The Sanctuary opens daily from 6.30 AM to 5 PM. So you can pretty much plan your visit here at any time of day. But we recommend coming here in the early morning or noon so you can spend more time exploring the Sanctuary. There is no dress code for the ruins, except wearing something cool! However, depending on the time of your visit, you may prepare the suitable clothes. If you visit in summer and spring, try wearing something short such as a T-shirt and cargo shorts. The heat in Vietnam can get very high and spending a few hours under the sun can get a sunburn. In the fall and winter, the temperate isn’t that low. The low point is usually around 16 degrees Celsius. If this isn’t too cold for you, just wear what’s comfortable. You arrive at the Sanctuary and still wonder where should you go or what you should do. Here are some suggestions for the best experience you can get here. Pay a visit to the museum after you pass through the ticket office. 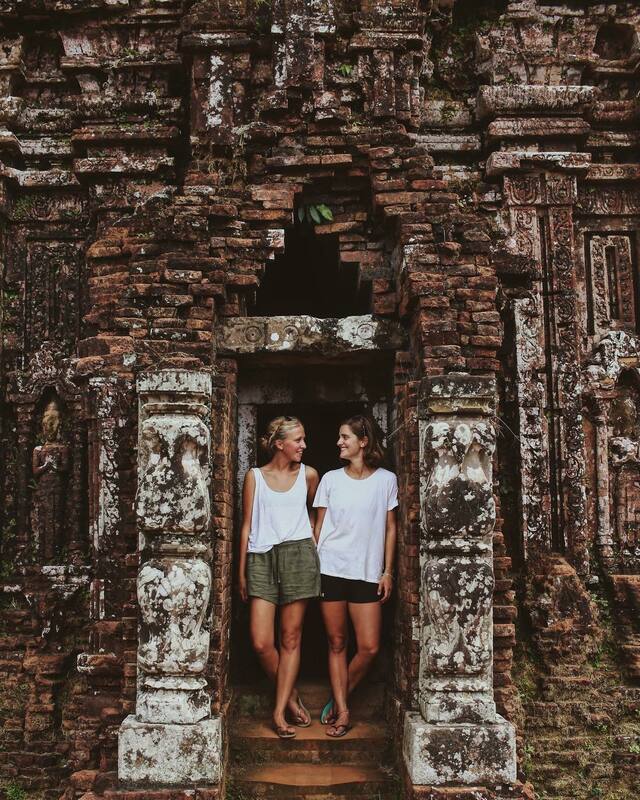 Here, you’ll gain in-depth knowledge about the rich culture and the glorious history of the Champa kingdom. Inside the museum, there are numerous wall posters, pictures explaining the history of My Son Sanctuary, which will be a great help if you plan to explore the site without a professional guide. Upon leaving the museum, you can take the free electric shuttles to get around. You can find these shuttles behind a bridge when you exit the museum. Each ride takes around 10 minutes to get you through the jungle while saving you tons of time and energy for a visit during summer days. Depending on the hour, you can find a shuttle every 15 – 25 minutes. The remain of My Son Sanctuary is what exactly what it was before. There is a large number of temples and monuments still standing. If you’re fast, it can take you half a day to explore this place. But we recommend you take your time, so you can learn more about the culture and history of this place. Here, you can observe ancient sculptures, tombs, and relics. It’s a great chance to learn about the unique design of the complex. It can really help you see the civilization that the Champa of the past once was. Those who enjoy art and history will have a blast here. The Sanctuary’s construction continues from the 4th century to the middle of the 13th century. Thus reflecting the culture of Champa in different periods of existence. Another thing to explore is the unique layout of the towers. They are arranged in groups of two or more which are linked by scenic roads and yards. Each tower has its own function in the Champa culture. Besides exploring the architecture, you can do a bit of sight-seeing here. There are two beautiful mountain ranges surrounding My Son Sanctuary which provides the watershed for Thu Bon river. My Son Sanctuary location has a strategic significance as the site is well-protected by these mountain ranges. Before leaving, make a pit stop to enjoy the Siva dance – the highlight of My Son sanctuary visit The performance was inspired by Hindu mythology and takes place in the middle of a sacred site. The dancers charm the audience with their flexibility and graceful movement. Cham music is the element making this performance special. It’s the condensation of an empire and culture existed hundreds of years ago. The dance praises the power of the most powerful gods in Hinduism – Shiva (the Destroyer), Visnu (god of protection) and Brahma (god of creation), to destroy the dark forces. The combination of the movement and the music can create a sense of mystery and mesmerize the visitors even more. If you’re getting to My Son Sanctuary from Danang, why not take a trip to the old town Hoi An which is just an hour from the Sanctuary. In 1998, the UNESCO also recognize the place as a World Heritage. Its structure is the mix between Japanese, Chinese and French characteristics. There are the famous Cau Pagoda, Chinese temples with one-floor yellow houses following the French signature. 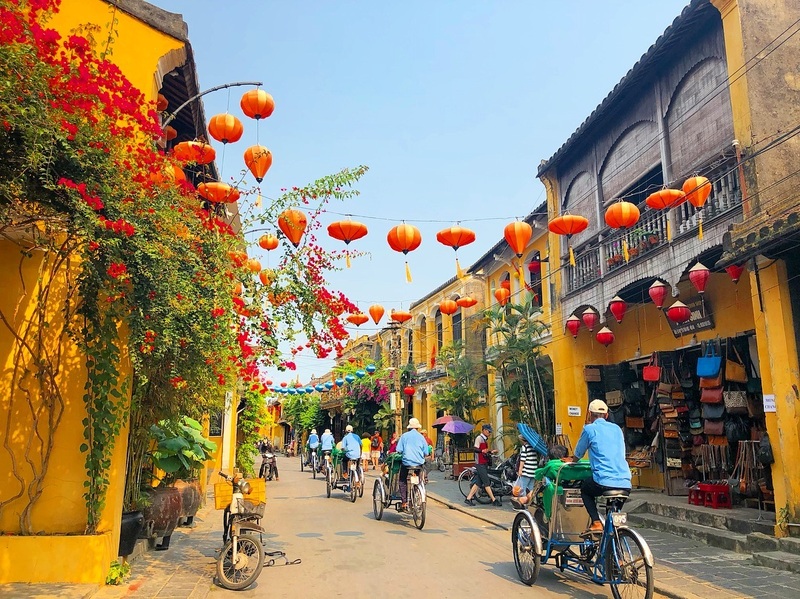 Through ups and down, Hoi An still preserves the cultural and historical features. The old houses in Hoi An were converted into modern shops. But they still have the same ancient and beautiful exterior. The diversity of shop style is also quite impressive. You can find convenience stores, clothing stores, and some souvenir stores and well. Food stalls, restaurants, and coffee shops here are absolutely great. The cuisine is very diverse, with many great dishes. You should definitely check out Cao Lau, Quang noodle, and fish cake noodle. Besides food, why not grab a drink and walk along the river. The must-try beverage here is Mot. It’s a mixture of herbs like cinnamon, honeysuckle, lemongrass, lime etc. Garnished with a single lotus petal. Overall, My Son Sanctuary is perfect for anyone who loves history and architecture. If you’re in Danang or Hoi An and wanna find a great day tour, this is a great choice.